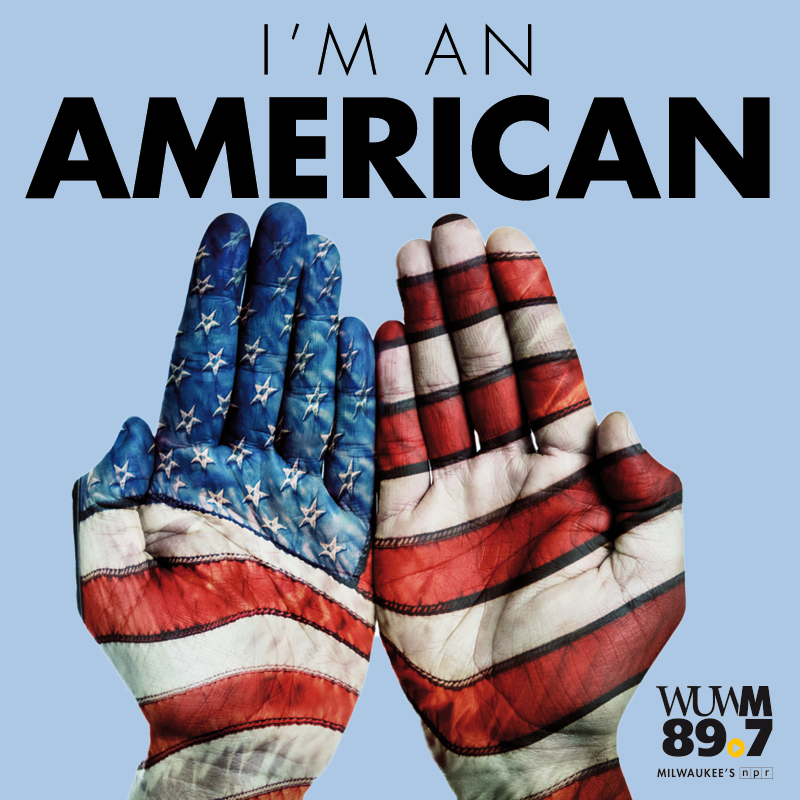 WUWM's Teran Powell talks with Ahmee Vang about understanding her Hmong and American identity. I'm An American is a series that explores what it means to be an American for people from underrepresented groups. Ahmee Vang was born in a refugee camp in Thailand. Her family moved to the United States when she was an infant, following the Vietnam War. A journey many Hmong families — who had sided with the U.S. in the war — made at the time. “That piece of history is very relevant for a lot of people in my generation. It’s very common for people to share that piece, but they know that we came to the United States to thrive and survive. But a lot of that I had to learn much later as an adult because my parents never really talked about that. That sorrow and that trauma that they carried in wanting to survive and what that looked like for their kids,” she says. WUWM's Teran Powell has an extended conversation with Ahmee Vang about Vang's identity. Vang is the director of education and outreach for Hmong American Women’s Association in Milwaukee. The organization works with those in the Southeast Asian community who are survivors of sexual assault and domestic violence – primarily who identify as women, youth, and LGTBQ. Although she grew up in the U.S., she talks about always feeling like she was different. “It was hard for me as a young person to identify who I was because I didn’t know what American meant and I also didn’t know what Hmong meant other than I knew I looked different, I spoke a different language, we ate different food. And there was a time where I really wanted to be blended in and not be noticed and here having my folks struggle in putting food on the table and making sure we had everything that we had to be successful," she says. "... I really wanted to be blended in and not be noticed." Vang says where she grew up added to a feeling of being “other” as well. “Growing up in a very rural white community, people not knowing Hmong people and categorizing us into the whole Asian umbrella, and then also there’s always the stigma or prejudices that we’re here really to take free services, and I think that is true of people of color communities and also people who identify as refugees or immigrants,” she says. But Vang says her parents are some of the hardest working people she knows. “To this day, my mom being in her early '60s, she works two jobs and all she knows is very blue-collar factory related jobs and she knows that these are jobs that she has to work hard so that she can continue to pay the bills and save a bit of money,” she says. Something else that Vang says has impacted how she views her identity is being a woman in the Hmong culture, which can be patriarchal. She says some Hmong people view women as too opinionated or lacking knowledge about certain issues. "We all have the same wants and needs and desires and everybody just has a different experience. I think that that's what makes America so beautiful." But today, Vang says she has found confidence in her identity. She says it's far from how she felt as a child struggling to identify if one thing made her American or Hmong. Vang says it is people’s individual stories that can unite Americans. “We all have the same wants and needs and desires and everybody just has a different experience. I think that that’s what makes America so beautiful,” she says. Monday the country commemorates the legacy of civil rights leader Martin Luther King Jr. Milwaukee has been celebrating King for 35 years with events at the Marcus Center for the Performing Arts. Social injustices in America came into sharp focus on Aug. 28, 1963. On that day, thousands gathered at the Washington Monument, and more around their radios and TV sets, to hear the King deliver his now famous “I Have A Dream” speech. Milwaukee sometimes gets a bad rap for being one of the most segregated cities in the country. But there’s no denying how racially diverse it is. It’s a majority-minority city, in which Asians make up about 3.8 percent of the population. The majority are Hmong. In fact, the Milwaukee area is home to the fourth largest concentration of Hmong people in the country.